Today’s story talks to local sheriffs who oppose restrictions on Second Amendment rights. The article leads with Wicomico County, Md. Sheriff Michael Lewis and includes a strong video of Sheriff Lewis’s view of guns on the Eastern Shore. There are also comments from Sen. Brian Frosh, the Democratic nominee for attorney general. While the position of sheriff is not found in the U.S. Constitution, it is listed in state constitutions: Part VII of Maryland’s, for instance, Article XIV of Colorado’s, Article XV of Delaware’s, and ARTICLE XIII of New York’s. Nearly all of America’s 3,080 sheriffs are elected to their positions, whereas state and city police are appointed. After Lewis opposed the legislation, he said he was inundated with emails, handwritten letters, phone calls and visits from people thanking him for standing up for gun rights. He keeps a stuffed binder in his office with the laminated notes. A handful of New York’s 62 sheriffs have vowed not to enforce the high-capacity magazine and assault-weapon bans. One of the most vocal is Sheriff Tony Desmond of Schoharie County, population 32,000. He believes his refusal to enforce the SAFE Act won him re-election in 2013. Cooke has won fans with his opposition. 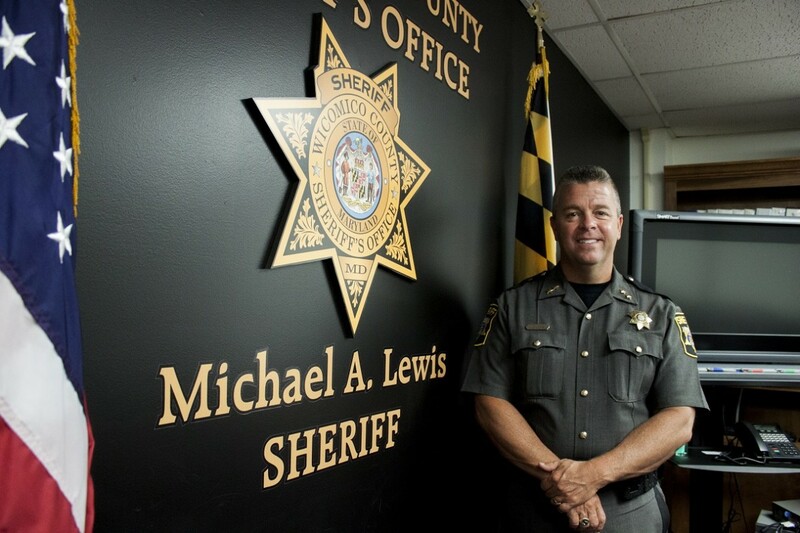 He, like Wicomico County Sheriff Lewis, keeps a novel-thick stack of praise and thank-you notes in his office. He’ll run for a Colorado Senate seat in November and is endorsed by the state’s major gun lobby, Rocky Mountain Gun Owners. But Montgomery County Sen. Brian Frosh, Democratic floor leader of Maryland’s FSA and a strong gun-control advocate, said Lewis’ understanding of a sheriff’s role is flawed. Some rural sheriffs argue that gun control laws are more than just unconstitutional— they’re unnecessary and irrelevant. In towns and villages where passers-by stop to greet deputies and call local law enforcement to ask for help complying with gun laws, they say, firearms are less associated with crime than they are with a hunting and shooting culture that dates back to when the communities were founded. In Maryland, U.S. District Court Judge Catherine Blake last week upheld Maryland’s new bans on assault-style weapons and high-capacity magazines. Marlena Chertock, the lead writer on this story, is a journalism graduate of the University of Maryland. Between 2007 and 2011, the most recent available data, Maryland’s nine Eastern Shore counties averaged a loss of 11% of its business establishments employing people. Statewide, the loss was much less, declining 5.7%.Since 2000, the state of Maryland has actually gained businesses by about 4%, but the Eastern Shore is lagging with a gain of less than 1%.